Orthodontist, Michael Hilgers, DDS, MS” AZ Orthodontist Dr. Michael Hilgers”]Dr. Michael J. Hilgers and his staff want to provide you and your family with a wonderful orthodontic experience that will leave you smiling! Our talented and experienced staff provide traditional metal braces as well as clear braces, Invisalign® clear aligners and the famous Damon® System brackets. We offer orthodontic treatments for all ages, so bring the whole family! The offices of Hilgers Orthodontics are in Goodyear AZ and are conveniently located near Avondale. Call us for a complimentary consultation. Come visit either of our Goodyear, AZ offices for a complimentary consultation. We will show you around our state-of-the-art facilities and will perform a simple oral exam to determine which orthodontic treatments we recommend. We are happy to answer any questions you may have. We’re here to make you smile! Braces use constant, gentle pressure, which over time, move teeth into their proper positions. Your braces are at work every moment of your orthodontic treatment. The two main components of your braces are: the brackets that are placed on your teeth and the main archwire that connects them. The bracket is a piece of shaped metal or ceramic that we affix to each tooth. The archwire is bent to reflect your “ideal” bite. In other words, it reflects the way we want you to look after treatment. 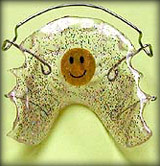 Translucent clear braces are the most popular with adults. You have to be very close to someone to be able to see them. Yet, because they are a ceramic material, they are more fragile. If you would like to learn more about metal braces, clear braces, ceramic braces, and all of the options available to you in Avondale, please contact our practice and schedule an appointment today. 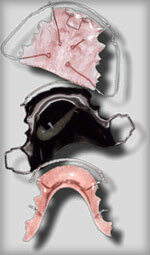 Removable appliances, unlike conventional braces, are used to retain teeth in their corrected positions and in some cases, to influence growth of the jaws in order to effect changes in facial structure. In addition, they are often used before and in conjunction with fixed appliances. Removable appliances are not utilized to treat all orthodontic problems. It takes skill, and experience to recognize conditions that will respond favorably to removable appliances. Timing of such therapy also is very important. Once the active period is completed, your braces are removed. The next step is called retention. Retainers are utilized to hold your teeth in their new positions until your bone, gums, and muscles adapt to the new teeth positions. You must wear your retainer as instructed, otherwise your teeth may move toward their original positions and the benefit of wearing your braces will be lost. If you live in Avondale, and want learn more about retainers, please contact our office. Dr. Michael Hilgers, your Goodyear Orthodontist, provides quality orthodontic services including Braces, Clear Braces, Removable Appliances, Damon Braces, and Retainers to straighten your teeth and give you a beautiful, healthy smile!